I had entered the free giveaway, seriously never expecting to win. It was such a surprise to see my name listed as one of the Runner-Ups in the Facebook Page run by Dreams n Drama. 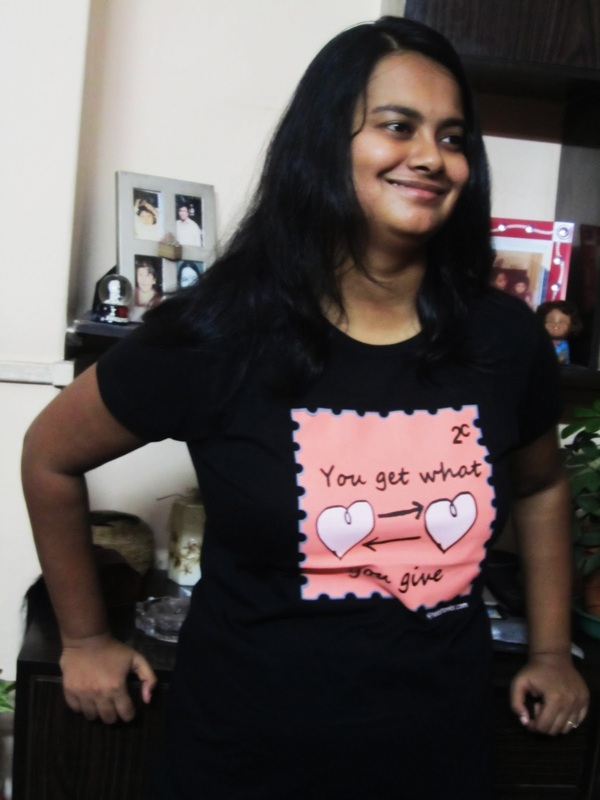 For a long time, I'd my eyes on this particular t-shirt: http://www.teestanks.com/2-cents.html , and winning the rs 200 voucher coupon kind of made it easier for me to gain access to the t-shirt. Of course, the results had been declared way back in the month of May. And I had placed my order in May, but something went wrong. It was a technical glitch first, which told me that my order was STILL PROCESSING, even after having placed the order one week ago. 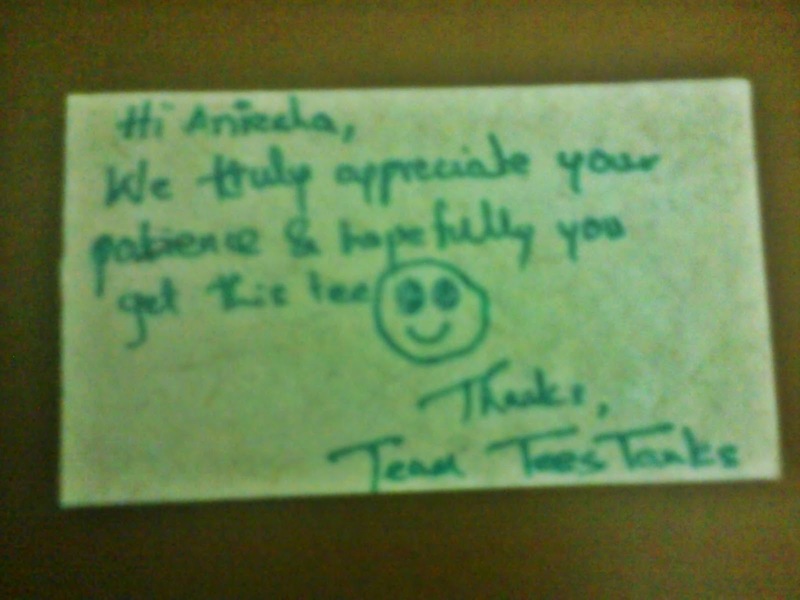 I drove the guys at the "we care" customer service for TeesTanks absolutely crazy....and in the midst of it all, the courier guys lost the first t-shirt!!! The next one, they sent me through India Post. And it arrived today, safe and sound, (as you can see in the picture on the left), with a note which appreciated my patience. 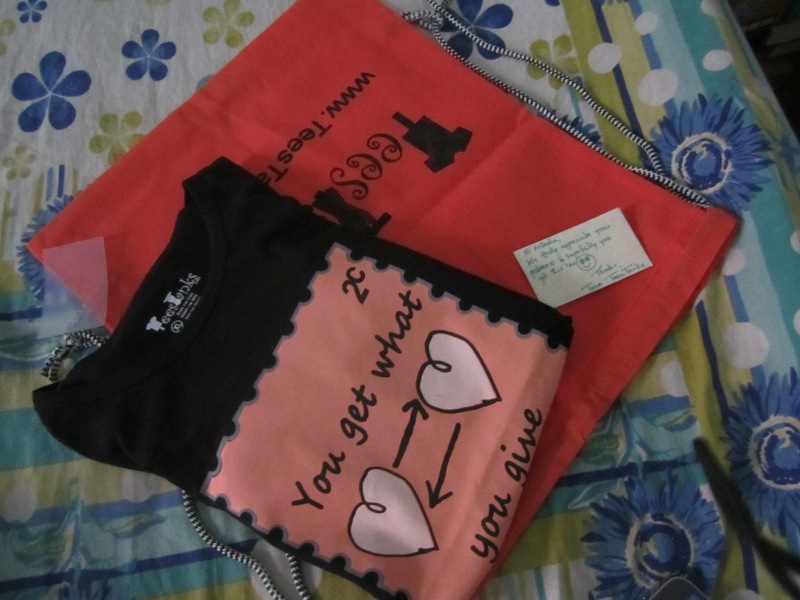 And as you can see from this note, even they were worried about this t-shirt not making its way to me. But I'd fallen pretty badly in love with it, so it just had to come to me!!! You can see, how much I love this t-shirt already. It is very comfortable and oh well, for people like me who love living in jeans and t-shirt, it is a really good choice. Here's hoping you check out TeesTanks website and make a few purchases of your own!! !